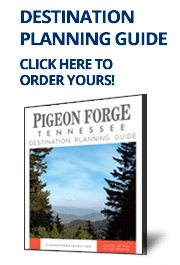 Plan out your fun tour in Pigeon Forge with the Showtime Tour! Use the following outline to schedule your trip. Start your fun tour adventure by heading on over to Pigeon River Crossings for a little bargain shopping. All that walking in the afternoon is sure to have made you work up an appetite. Have a Southern-style dinner with music and fun at the Smith Family Dinner Theater. Enjoy a satisfying breakfast at Wood Grill Buffet where there is so much to choose from everyone in your group will be happy. Plan to spend the day at Dollywood. The theme park features seasonal entertainment and several rides for all ages! Enjoy an appetizing meal at Tony Roma’s followed up with the music legends show at Memories Theatre. Entertain your group at the Patty Waszak Show for a great combination of music and comedy. Try out the soups, salads, sandwiches or spuds for lunch at McAlister’s Deli. Go and spend the afternoon outdoors at one of the city parks before taking a trip to the Smoky Mountain Opry. See if your group can solve the Great Smoky Mountain Murder Mystery Dinner Show. This great, interactive ‘who done it’ will keep you on your toes!